As winter begins to fade away and you prepare for spring, your home and wardrobe aren’t the only things that should have a “spring cleaning!” Your skincare regime should have one, too. Consider these tips for getting your skin ready for spring. Makeup has a shelf life and yours may be beyond it. Putting on old makeup is bad for your skin. Now is the time to throw away your old makeup and buy anew. While you’re doing that, update to lighter, brighter spring colors. Using a heavier moisturizer in our cold, drying winter months makes sense to help infuse your skin with hydration. As you use up the winter supply, it’s time to get a lighter formulation for spring. And, always look for a moisturizer with built-in SPF for sun protection. Slough away all that dead skin to reveal the soft, glowing skin underneath. For your face, it’s a great time to schedule a microdermabrasion with us! And, remember the rest of your body. Why not treat yourself to a nice scrub. Just don’t rub too much! Check the expiration date of your sunscreens. If it’s expired, get a new bottle. This goes for moisturizers, lip balms and any other products you use that have SPF in them. 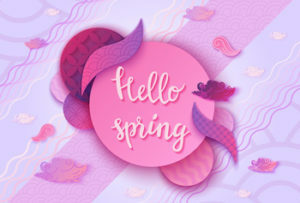 Look at spring as your opportunity to talk with us about setting up a skin care plan. We’ll help you schedule regular treatments, suggest appropriate products for your particular skin type and needs, and help keep you looking your best.